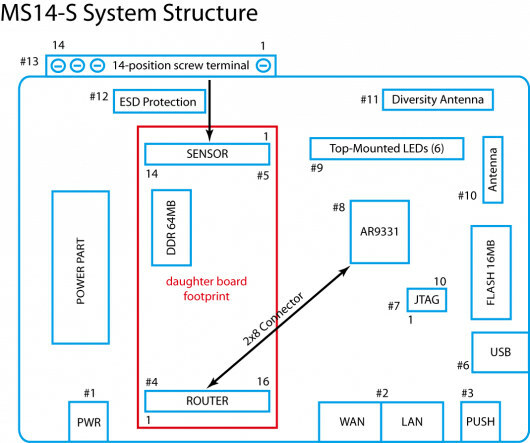 The MS14 is the 2nd generation Dragino mother board. It lets you embed Linux into your MCU projects. It is a low cost, open hardware Linux motherboard for micro-controllers. 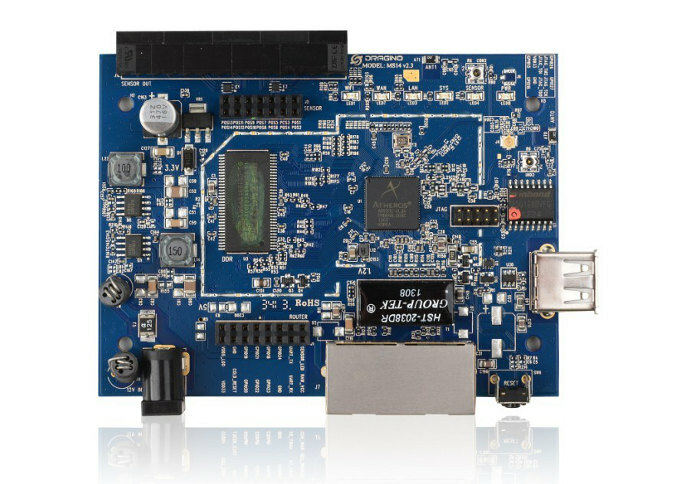 It runs open source Linux system, has USB host port and has full Ethernet and 802.11 b/g/n WiFi capabilities. Note: This is the version of the MS-14S with external antenna (included). The goal of the MS14 is to solve the connectivity problem and greatly enhance micro-controller products such as the Arduino. 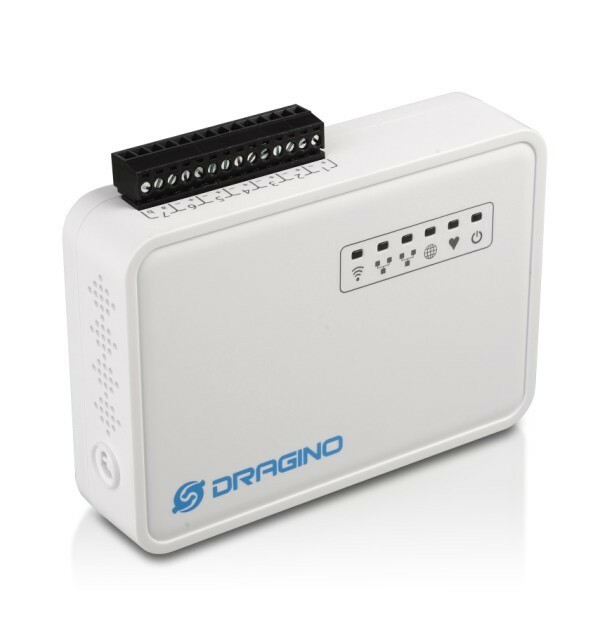 Dragino MS14 supports generic OpenWrt Linux version or modified OpenWrt version such as Arduino Yûn. Applications for MS14 include remote control of robots, data logging, web applications for data presentation, mesh networking over WiFi, firewall and access point functions and many more. OpenWrt is a reliable Linux distribution for embedded system. It is open source, under well developed and maintained. OpenWrt uses a package system, lots of powerful utility, software are maintained as packages form. Users can easily install, remove these packages to make a deep customized system. Around 1 watt power consumption in working mode. The most complicate and difficulty parts are built as mother board. Developers can focus on the MCU daughter board design only. This helps to reduce the development time, cost, risk, difficulty to release a new product to test/seize the market. MS14 has a Professional/Industrial enclosure which can be used directly for the market. 14 positions screw terminal with 5V ESD protection. Reuse all the source from Arduino Yûn to speed up development. Note: A daughter board is not included. Please check the recommended products below for compatible microcontroller daughter boards or design your own.